The condition of the exterior of your home plays an important role in determining property value, creating visual appeal, and maintaining structural integrity and safety. Gutters play an important role in protecting the foundation and exterior materials of your home. Here are three reasons to keep them in working condition and to hire professionals to provide gutter repair in Fort Myers should you come across the need. Your gutters are responsible for directing moisture away from your home to a place where it can be discarded without causing problems. Ensuring that your gutters are working correctly is critical to keeping your home’s foundation strong and the soil on top of it stabilized. Without gutters, water would simply pool around the base of your home which could easily weaken, crack, and deteriorate the foundation. If your gutters are clogged, cracked, or damaged, water can leak through the openings and saturate the soil and ground around your home. The result may seem to be nothing more than annoying mud and puddles at first, but constant saturation can lead to worse problems like flooding. Additionally, consistent exposure to moisture can put your home at risk of growing mold. If you suspect a problem, contacting professional help for gutter repair in Fort Myers can help you stop a minor issue before it gets worse. Water marks, resulting from leaky gutters, can cause distasteful staining on the exterior of your home. This noticeable staining, weakening, and erosion can affect decks, garage and overhead doors, siding, masonry, brick, patios, driveways, and sidewalks. Gutters that aren’t effectively carrying water away from your home can cause a lot of visible damage which can lessen your home’s value and withdraw from curb appeal. 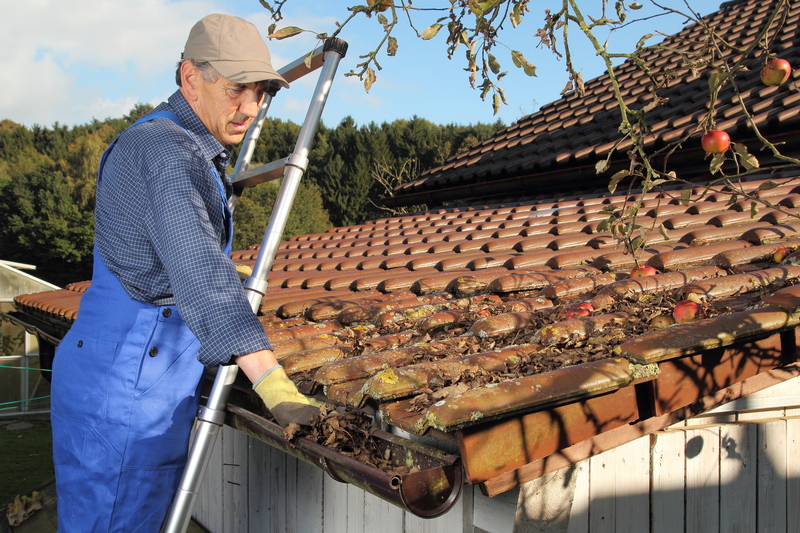 At the first sign of a problem with your gutters, it is a wise idea to immediately Consult with an expert to assist with gutter repair in Fort Myers . Doing so can help you protect your home from unnecessary weathering and erosion resulting from excessive exposure to moisture. The foundation of your home is perhaps the most important part of it. When your foundation is compromised, your home’s entire structural integrity is, too. That’s why it’s of the utmost important that you prevent damage and take a proactive stance to keep it in good condition. There are several ways to accomplish this, including gutter repair in Fort Myers, FL, so that your foundation is kept as safe and strong as it’s meant to be. Many people are unaware of the fact that poorly excavated soil can cause damage to your foundation. If soil slopes towards your home’s exterior, is can route runoff directly into its bottom and towards the foundation. This is particularly dangerous and can easily result in cracking when the water seeps into the cement and expands and contracts. In order to prevent this, use a level to ensure there is no downward slope in the soil surrounding your home. Clogged gutters are another one of the most common causes of foundation problems. As with sloped soil, a clogged gutter can route water directly towards the bottom of your home and into the foundation, where it will cause cracks if it is absorbed. Investing in gutter repair in Fort Myers, FL, is a great way to ensure your gutters do their job and keep all water in its trough routed away from your home. This eliminates a major source of potential damage. While you are having gutter repair in Fort Myers, FL done, you should also check to ensure the roots of any shrubs or trees are not compromising your foundation. This can happen when they absorb moisture from the surrounding soil and cause the foundation to settle or sink. Symptoms include cracking drywall and doors that get stuck in their frames. You can avoid this by ensuring all plants are getting enough water.